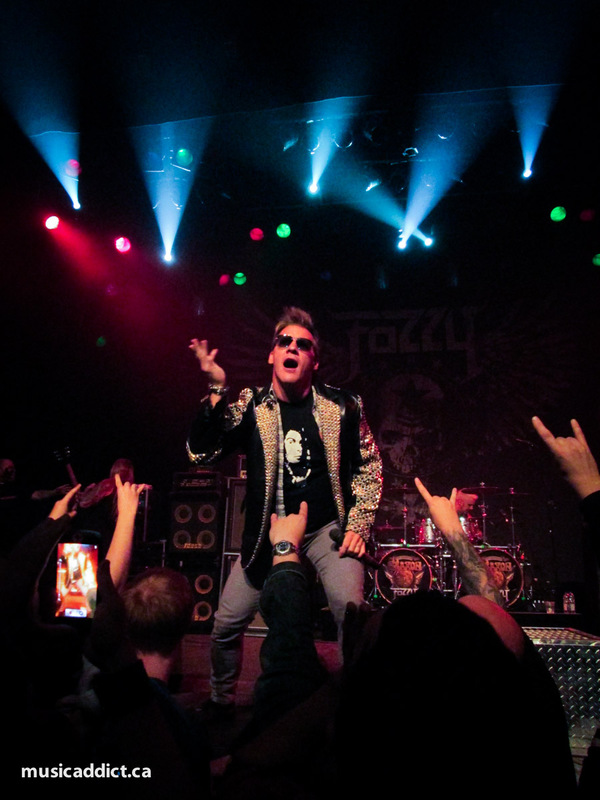 The Virgin Mobile Corona Theatre hosted rare visitors yesterday: New Wave of British Heavy Metal legends Saxon were in town, supported by Fozzy (on their first visit since 2005), with additional support by Atlanta’s Halcyon Way. The concert was advertised at the unusual start time of 9PM (you know you’re old when you start bitching about a concert’s start time), but has we entered the venue Halcyon Way was already halfway through their set, having started at 8:15. Maybe a heads up on social media would have been useful! Halcyon Way gave a good performance. 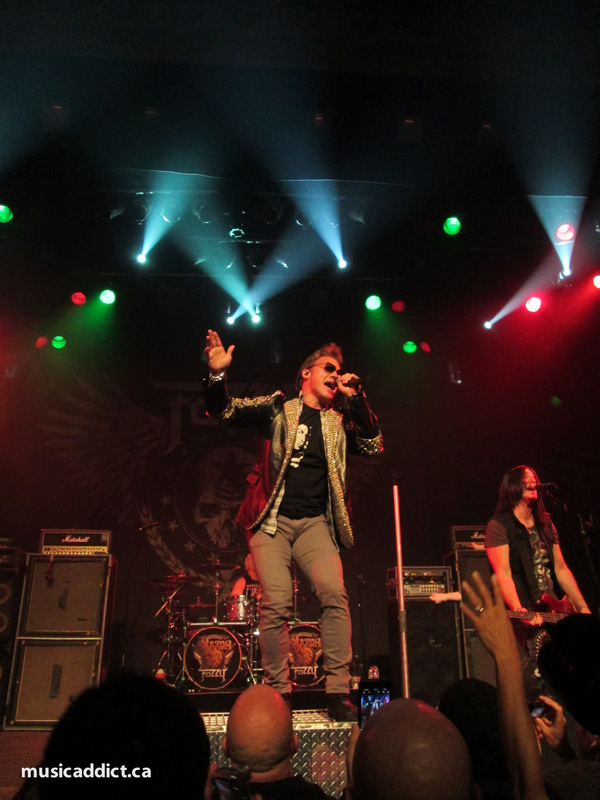 I had never heard them before, but they had good songs, with strong vocals and lots of complex riffs. Nothing about them really stands out, but they got the crowd going. 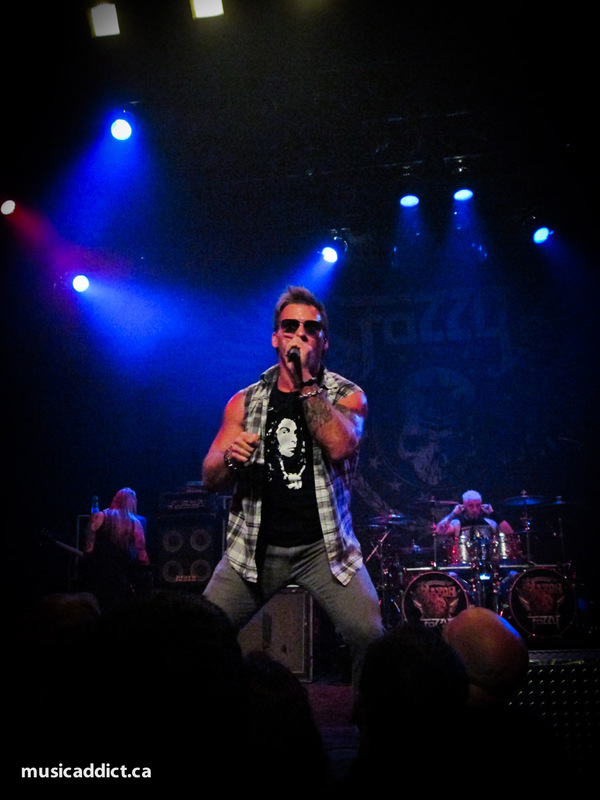 Next up was Fozzy, the brainchild of Stuck Mojo’s Rich Ward (a.k.a. The Duke) and WWE wrestler Chris Jericho. 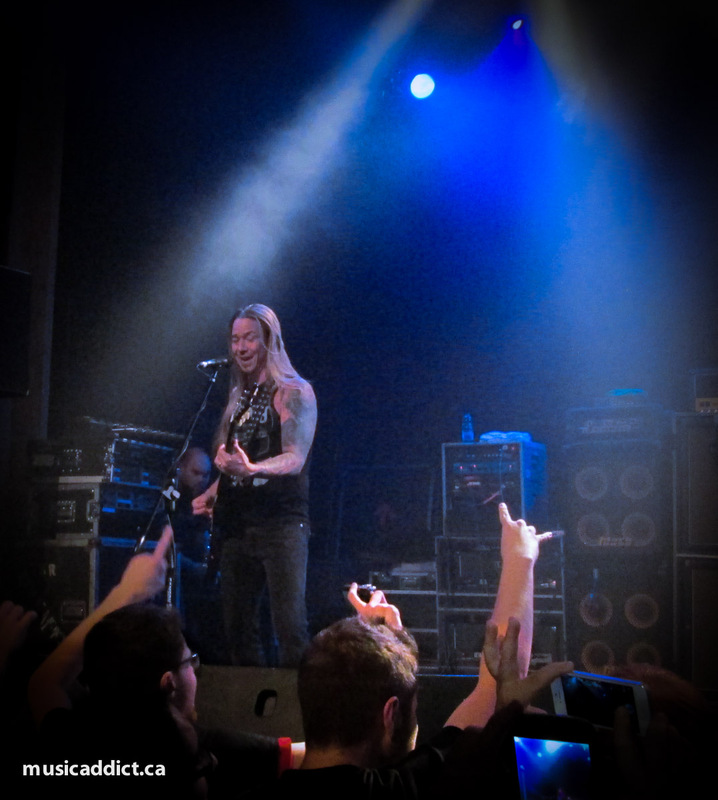 A sizeable part of the crowd was there for them, and they were loudly welcomed to the stage. 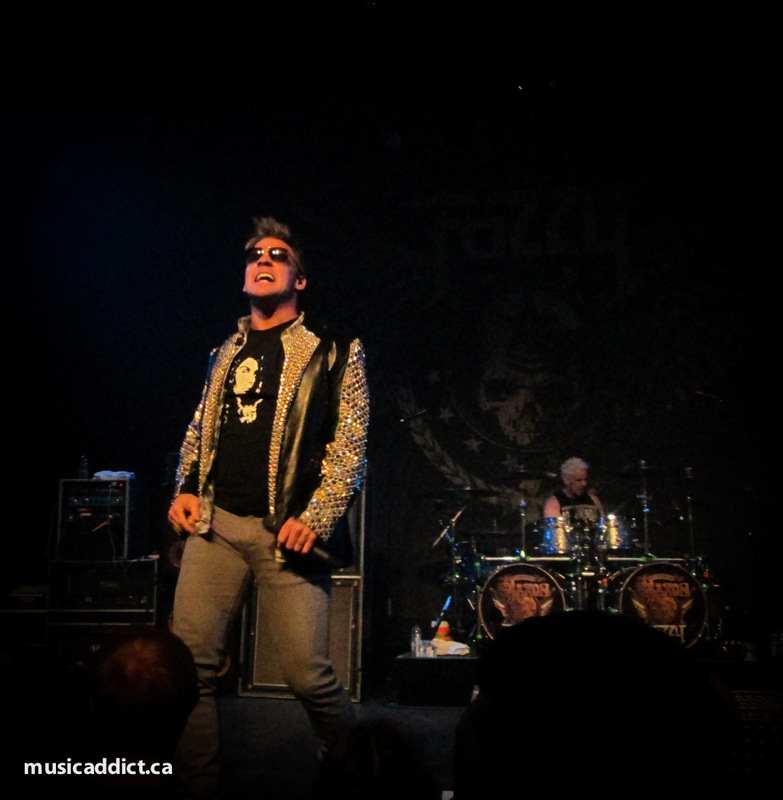 The band started out as a gimmick doing covers, but has evolved into a real band over the years. 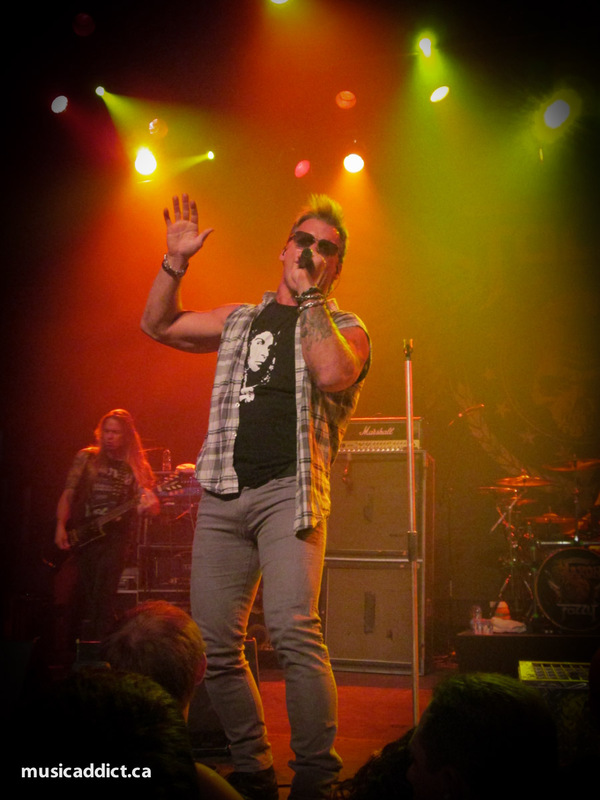 Certainly Jericho’s voice is miles ahead of where it was when they started, but his stage presence on the other hand has always greatly benefited from his WWE gig, as his ability to work a crowd is second to none (and he remains the only singer I’ve ever seen do jumping jacks on stage during a song!) The material was mostly taken from the last two records, which to be honest I never quite clicked with, but after hearing the songs played live, I want to revisit the albums. To me that’s the sign of a great live band when they can make you change your opinion of their material. 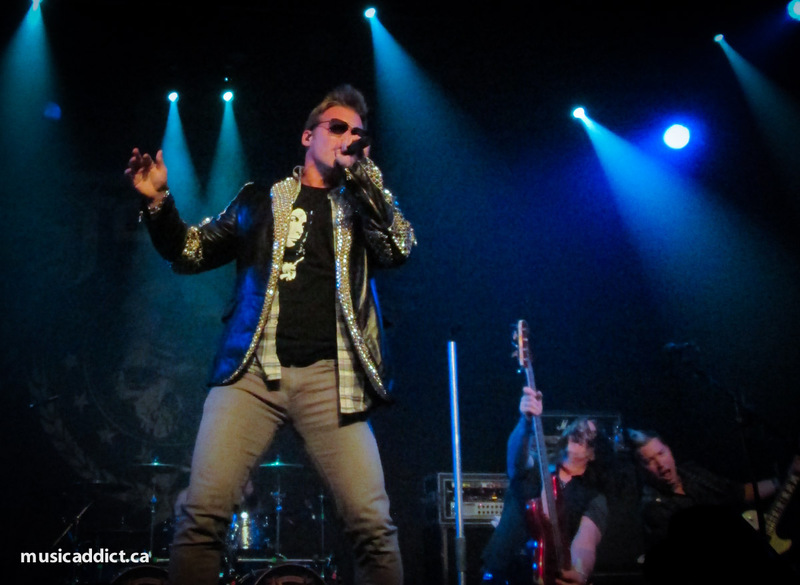 While Jericho is the star of the show with his strong presence, the rest of the band laid down a rock solid foundation. 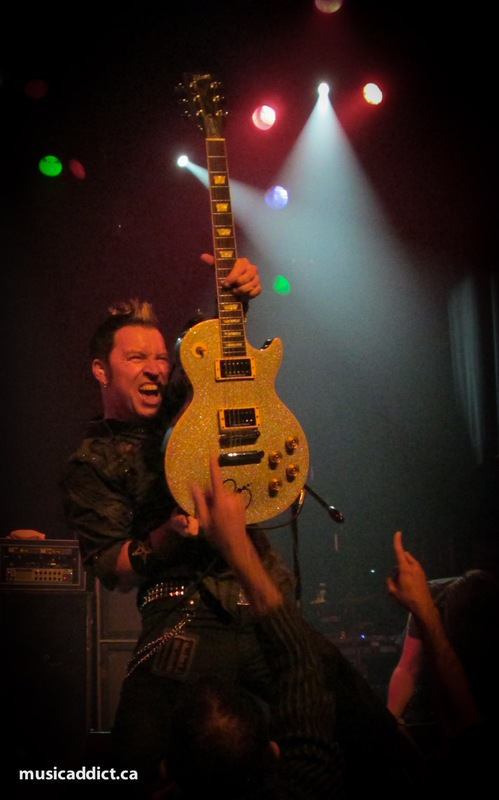 Props to lead guitarist Rich Ward who’s so manic on stage that most of my pics of him are blurred. 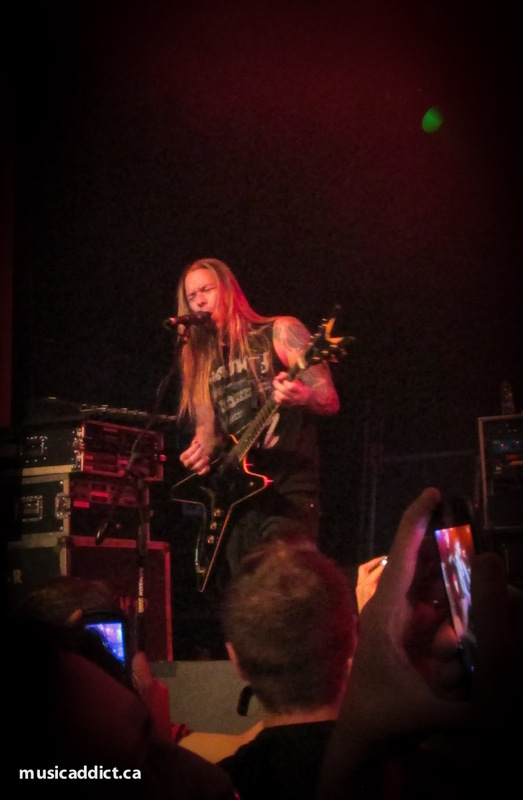 🙂 The crowd didn’t seem to mind the setlist’s focus on the last 2 records, singing along to every track and indulging Jericho’s calls for audience participation. 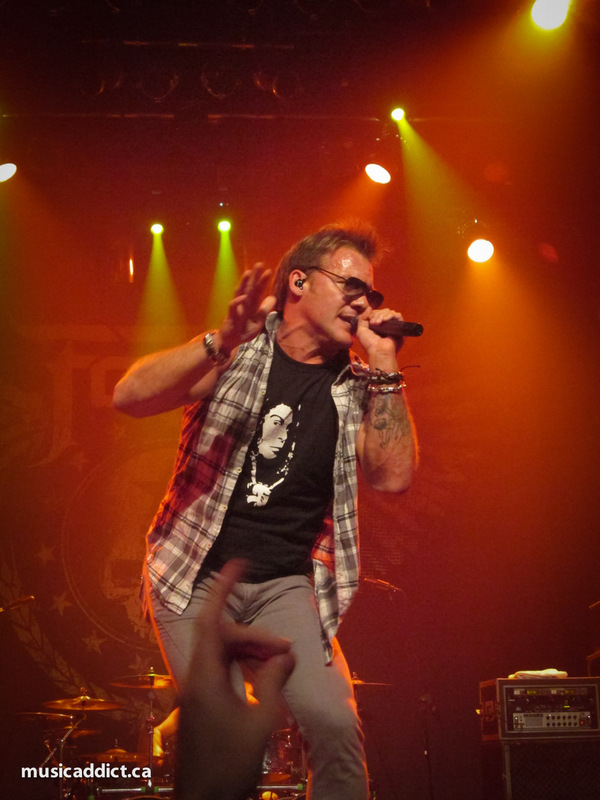 The lone track from the band’s earlier catalog, Enemy, got an enthusiastic response from the whole crowd, and at the end of the show, Jericho decided to stage dive into the crowd where I was. It was a gutsy move on his part as that section wasn’t densely populated, and let me tell you it’s not easy to catch a man of his size in motion! The only drawback about their performance was the poor sound, at least upfront. 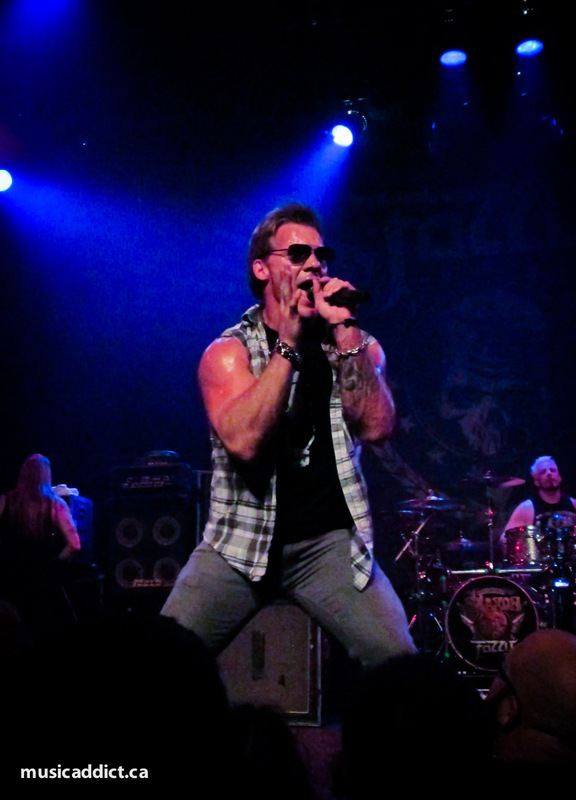 Chris Jericho’s vocals were buried in the mix and hard to understand. 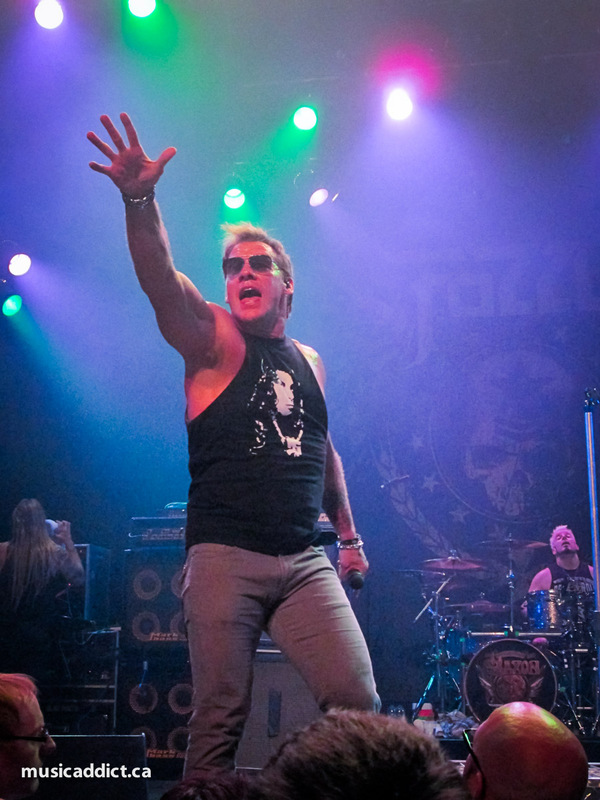 I know that in one of his books he talks about the poorly attended 2005 Canadian tour as a disappointment, but I hope we get a chance to see Fozzy again as a headliner, and that we don’t have to wait 8 years for it! As a side note: he mentioned not having been in Montreal in 10 years; I guess he forgot about that tour! 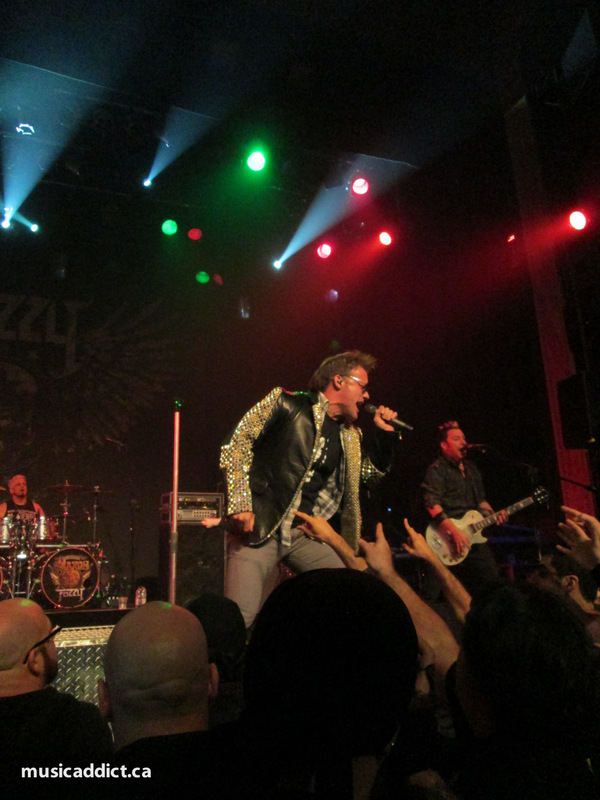 After the changeover (Fozzy and Saxon shared a backline and drum kit which made the transition smoother), the lights dimmed for the headliners. 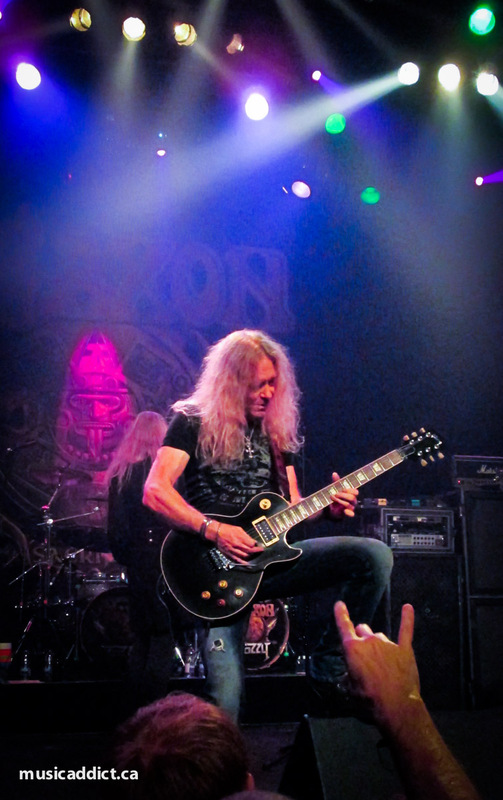 Saxon is a band I mostly remembered for Denim & Leather back in the 80’s, but in recent years I’ve been diving more into their catalog, and realizing how much these guys rock. 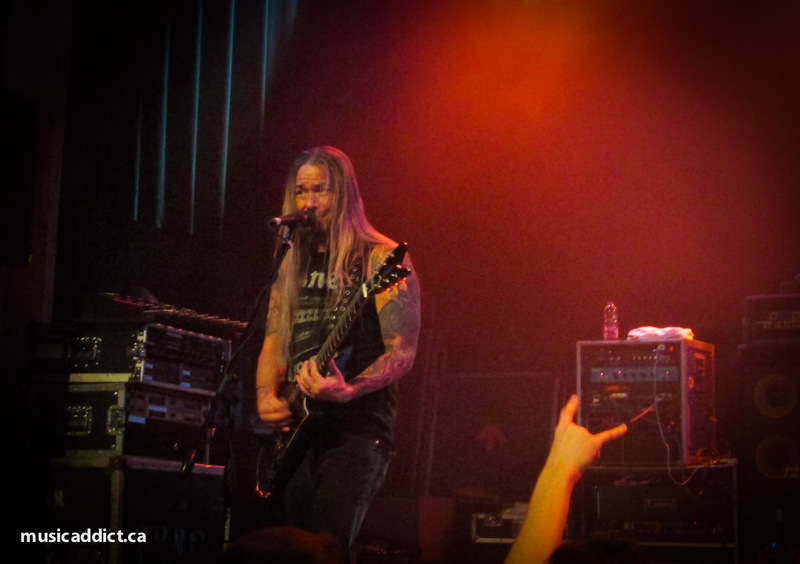 Kicking it off with the title track from their latest album, Sacrifice, the band blazed through a 90 minute set where newer tracks co-existed very well with the classics. When a lot of their contemporaries play their new material, many in the audience use the opportunity for a bathroom break, but the sold out (felt like it although the balcony was closed) crowd stayed put and sang along to every track. 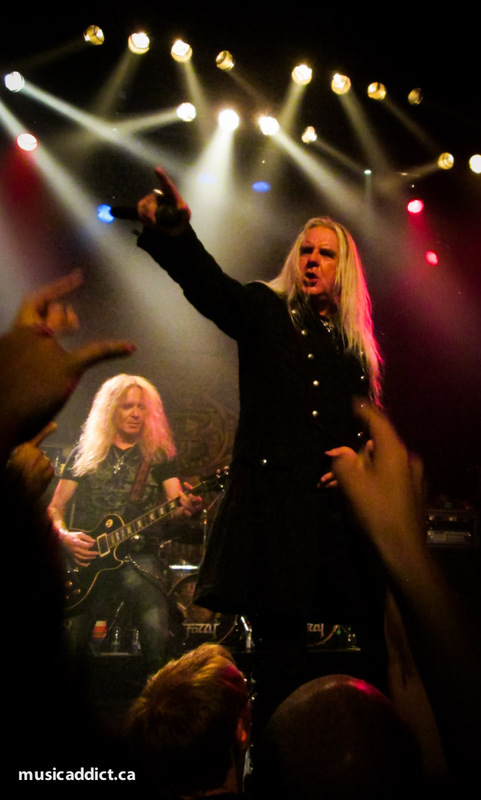 Saxon lead singer Biff Byfford presiding over the crowd. Lead singer Biff Byfford clearly looks his 62 years, but his voice is still as strong as it ever was, and he commanded the stage with his presence. The rest of the band also made everything sound great and seemed to have a blast going through classic riff after classic riff. 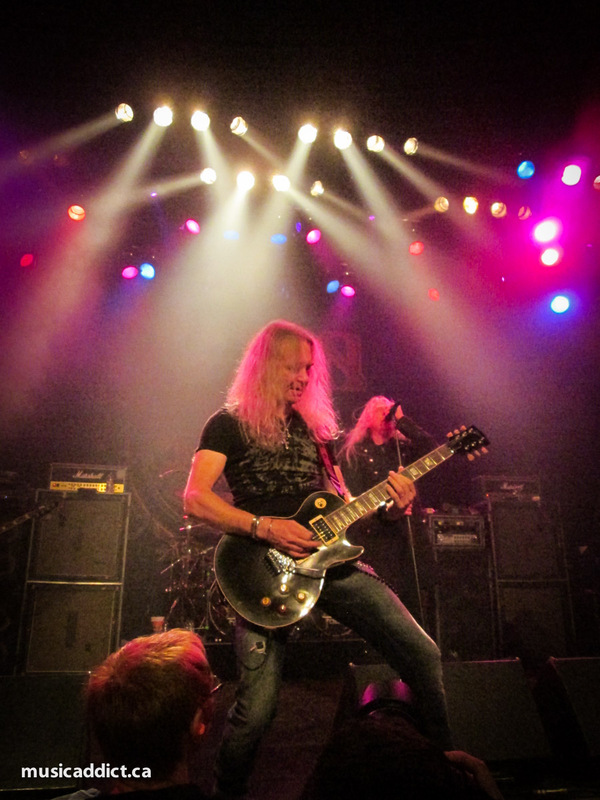 All the hits were played (Motorcycle Man, 747 (Strangers in the Night), Strong Arm of the Law, Princess of the Night) and of course Denim & Leather, the classic tribute to the early days fans who created the heavy metal wave. Last night it took on a different meaning: there were a lot of kids there that obviously weren’t born when that song was released. When Bifford sings “Denim and Leather/Brought us all together/It was you that set the spirit free” he could have been talking about the 3 generations of fans in attendance brought together by the music. 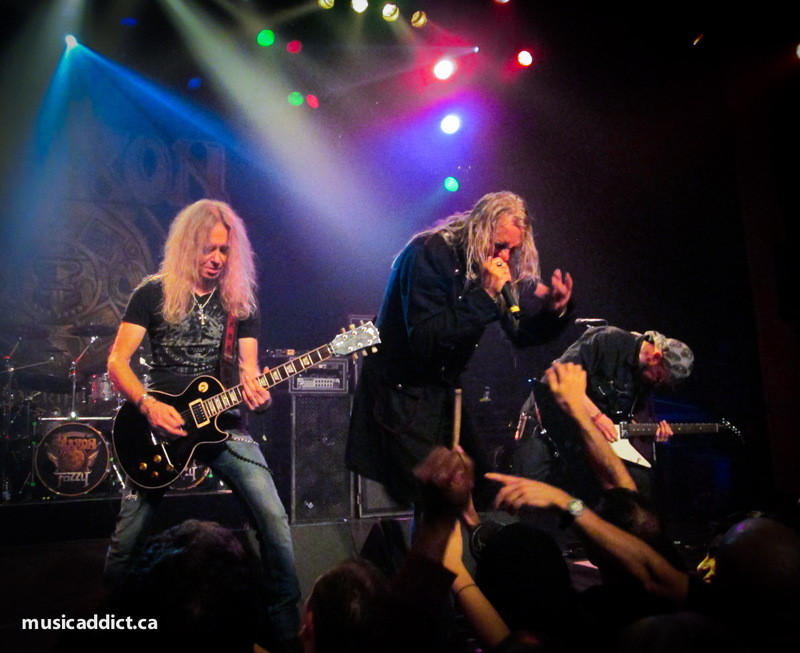 Clearly Saxon is far from washed up; they’re as good as ever. 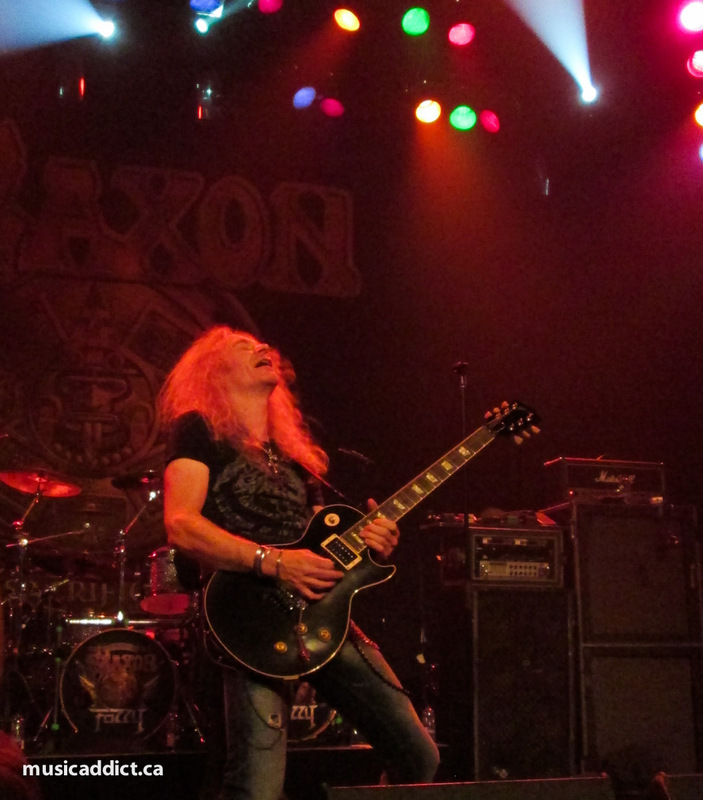 I’m not sure why Saxon never really caught on in North America. Their classic brand of metal is full of catchy hooks and they should at the very least been able to ride the coattails of fellow NWOBHM stars Iron Maiden. 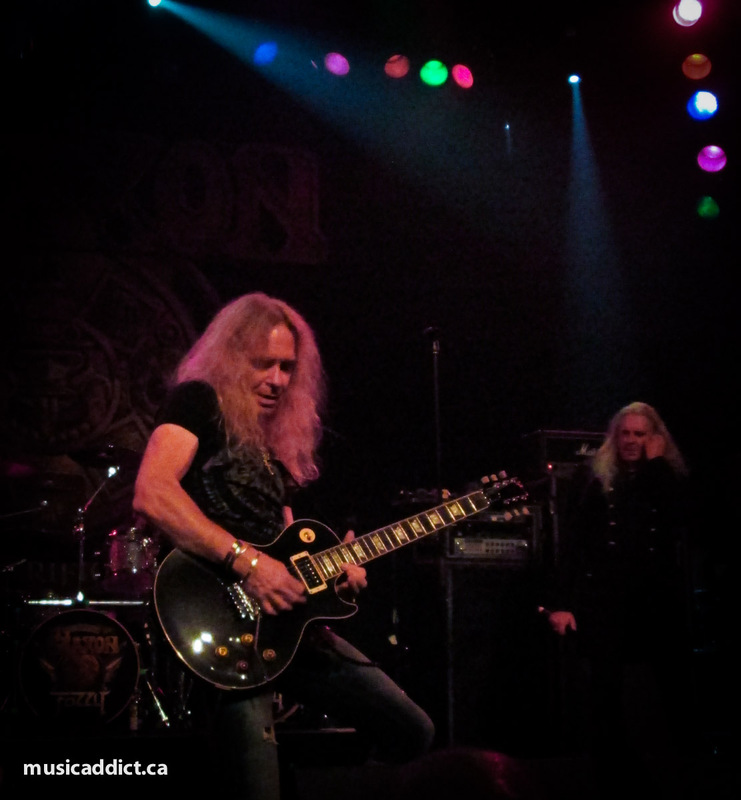 It’s an all too rare occurrence for Saxon to tour these parts, here’s hoping they can visit us more often. 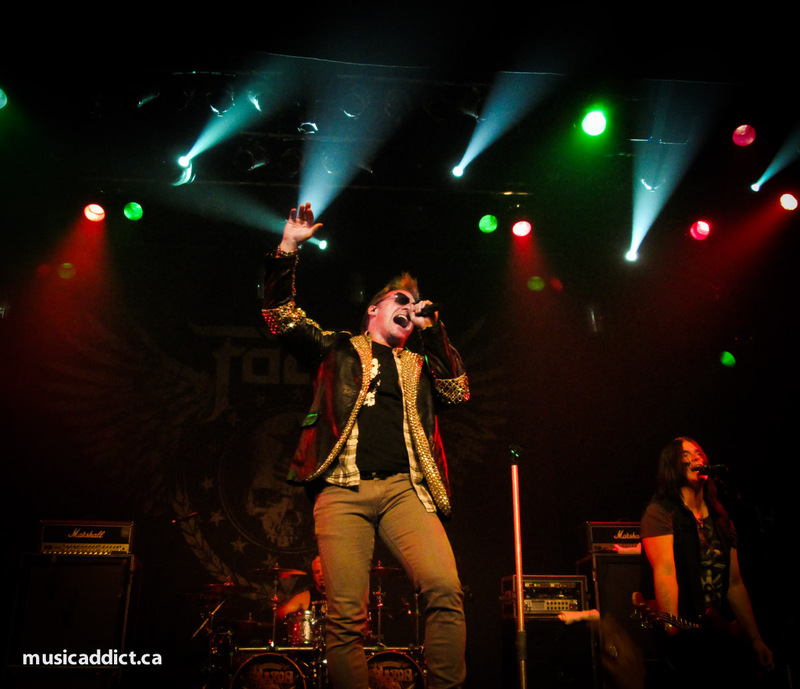 They’d be awesome at the next edition of Heavy MTL! Newsflash for ya: The venue doesn’t have 2 sponsors, only Virgin Mobile. The Corona Theater doesn’t owe its 1st name to the Mexican beer, as you seem to think. It’s been called Théâtre Corona since 1912.